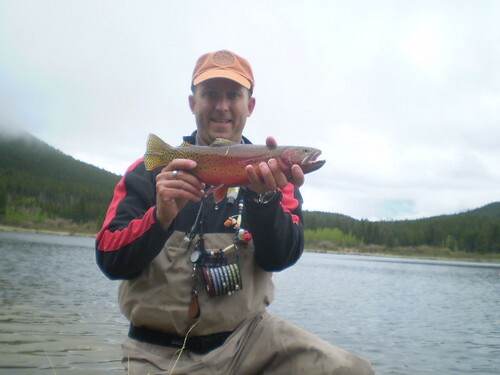 Fishing The Rocky Mountain National Park For Greenback Cutthroat's! 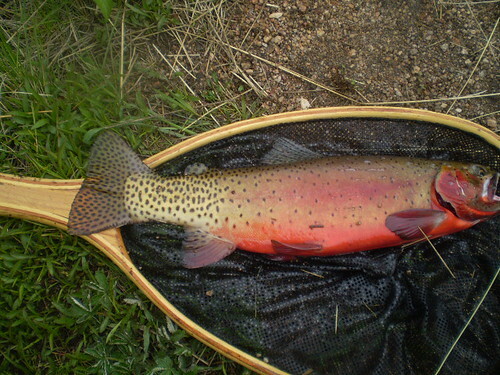 Populations of at least four species of trout exist in the park - brown, brook, rainbow, and cutthroat. Some suckers also inhabit the streams and lakes. Only 48 of the 156 lakes in the park have reproducing populations of fish. 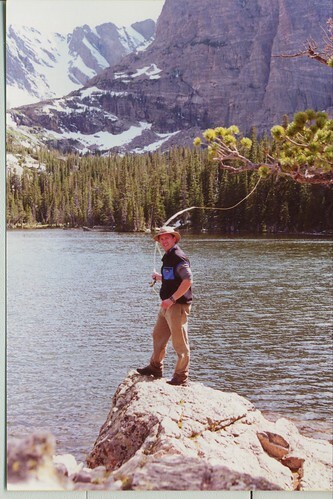 Cold water temperatures and lack of spawning habitat prevent reproduction in high altitude lakes. Supplemental stocking is done only to restore native species to altered waters. 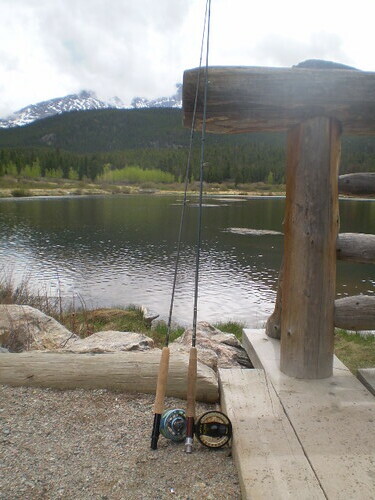 Fishing success at high altitudes varies, even from waters known to contain fish. 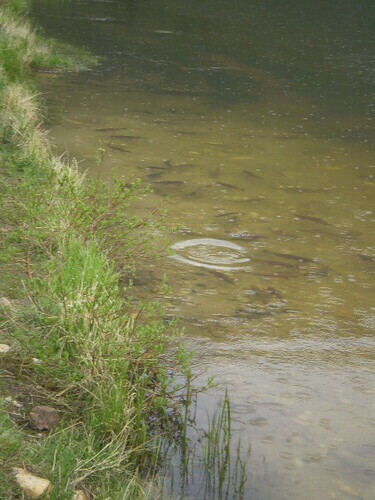 Restoration efforts have kept the possession limits to a minimum, and have resulted in increased trout populations in many areas within the park. "Restricted area but fun to watch though"
"Secret water up near Grand Lake Area"
"Great afternoon in Rocky Mountain Park"
"Fishing a small stream with my Fishing Pal Cory going after Brookies"
Our Cutthroat have improved dramatically thanks to the tireless efforts from the Division of Wildlife and the National Park Service. Wihtout them we definitely wouldn't have the resources we do now for finding these incredible Cutthroats in our high mountain lakes. Many thanks to them!